My experience was a little different - Jimmy Carter, Gerald Ford. I knew how to ask questions - but still hadn't learned how to ask engaging questions that helped people to open up. That's what I've spent the last 40 years learning, and I'll share what I can today with you. Copy is powerful. You’re responsible for how you use what you hear on this podcast. Most of the time, common sense is all you need. But if you make extreme claims… and/or if you’re writing copy for offers in highly regulated industries like health, finance, and business opportunity… you may want to get a legal review after you write and before you start using your copy. My larger clients do this all the time. Comes from experience, common sense, skills training, clarity of your purpose of the interview -- and, research ahead of time. "It's all part of the job-one must be prepared to be a host, to share food, to entertain with stories, to basically do anything and everything to make the subject feel comfortable, to put them at ease, so that when you turn on that tape recorder and begin asking questions they feel like they're talking to a friend. It's not always easy to be such a chameleon, but that is what a good in­terviewer must be." From a book I'll mention later. You can't find out all of it from book/internet research alone. So you need to talk to people. And people are glad to talk to you, almost all of the time, if you can convey to them that you are truly interested in what they have to say. That's where interviewing comes in. 1. Prepare. Find out all you can before the interview. Not to show off your knowledge. More to avoid annoying the person you're interviewing by showing a lack of respect for their time, asking a question you could easily have found the answer to, yourself. 2. Listen. Strive to understand what the person is saying. Don't be in a rush. Respect their time, but give them time to answer. 3. Be ready for the interview to go in a different direction than you had planned. Sometimes you'll get gems from tangents! 1. Avoid the urge to show how clever you are. I learned this the hard way, starting on the South Lawn of the White House in 1976. The person you're interviewing appreciates intelligence, but they may resent your efforts to one-up them. Be humble. 2. Don't be like an interrogator in a detective show on TV. Harsh yes/no questions leave people cold and defensive. You want to do the opposite -- make them comfortable so they open up. 3. Don't be in a rush. Respect the time limits you've agreed to, but be as relaxed and focused as you can be. One of the great interviewing skills is to make the person you're talking to feel like they are the most important person in the world! 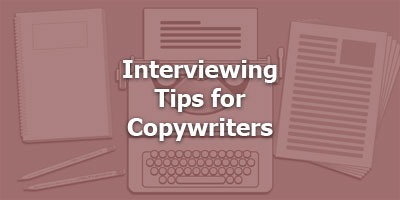 Prepare; make it a conversation where the person you're interviewing does most of the talking. You can tell a little about yourself to disclose who you are as a person, and as the interviewer doing this job -- but keep it short. Develop and maintain trust. Take really good notes or better yet, record with permission. Book recommendation: The Art of the Interview, by Lawrence Grobel. One of the great journalistic interviewers of our time. This gives you a lot more than you need to know for what you'll be doing -- unless you'll be interviewing celebrities for articles in major magazines -- but you can glean tips and techniques from one of the greats. He also taught a class on this subject at UCLA, his alma mater. He really does know how to teach through storytelling!